We are a World of Warcraft guild based on the Connected realms of Mazrigos/Lightbringer in the EU. 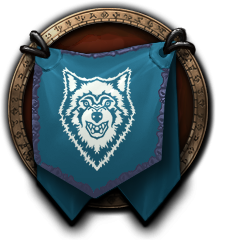 We are a Horde guild who puts an emphasis on casual/social play of all aspects of the game for adults (those aged 18+) who perhaps don't have the time or inclination to spend all of their free time being told what to do and when. We do a bit of raiding, but there is no requirement for anyone to raid (although those who do commit some of their free time to raiding are expected to treat other raiders with respect and put some effort in to ensuring they are prepared). We welcome new players, old players, returning players ... we don't care what level your character is, or how many you have. We care about the person PLAYING the character .. everything else is window dressing. We have a fairly large social media presence with this website, Facebook, Twitter and Discord. We also have our own large Teamspeak server. As a lot of members have real lives, with real responsibilities, and often tend to multitask to a greater or lesser extent whilst playing, we tend to default to using text to communicate for anything other than raids and dungeon groups. This includes both the in-game guild chat and our many discord text chat channels. We default to using Teamspeak for guild raids, and discord chat for the majority of other guild groups that would like to use voice comms. Please register and explore the site - visit our Wiki, our forums, Game Tools and all the other nooks 'n crannies - it's amazing what you find in all sorts of places! Feel free to say "hi" in the forums or the various "chat" options around the site and add @darkwolveseu to your twitter feed for news updates and more. If you use Facebook, "like" our Facebook Page. Instructions on how to Register with the site (which is extremely quick and easy) can be found on the Guild Wiki here. Please feel free to browse our Wiki, especially our Guild Rules, and then follow the guide to fill in the application form and Apply to join us. If you have any questions, you can either give a shout out to a member in-game, ask a question on our Forums, send us an email or a Private Message via this website. This website is for YOU, the guild member and the prospective guild member, and any of our friends - if you don't feel there is anything worth coming back to the site for, let us know what WOULD keep you coming back and we will try to add it.